This being the 3rd annual Burger Beast Burgie Awards I thought I had to do something a little different. 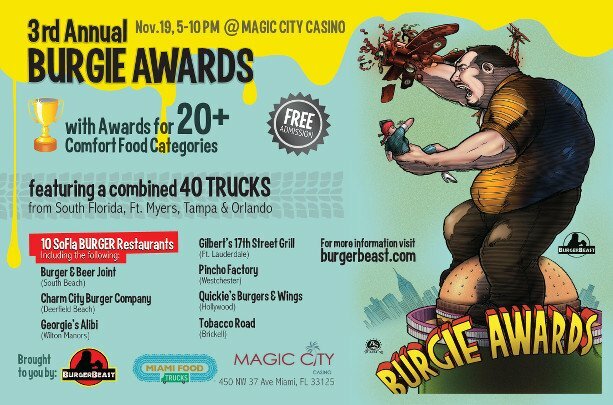 This year Magic City Casino will be hosting the event where we’ll have Burger Restaurants competing for the title of “Best Burger 2011” and 10 Food Trucks competing for “Best Food Truck Burger 2011”. This will be decided by a panel of judges. 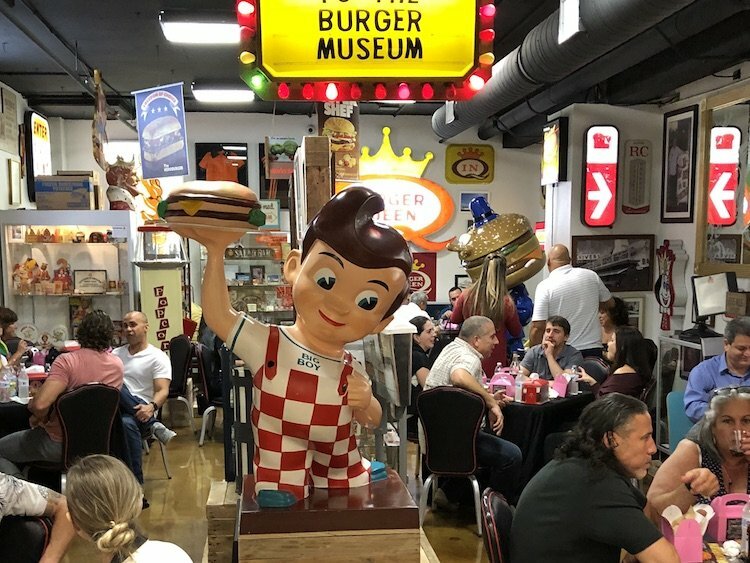 You’ll have an opportunity to buy burgers from 10 South Florida Burger Joints including Charm City Burger Company in Deerfield Beach, Gilbert’s 17th Street Grill from Ft. Lauderdale, Quickie’s Burger & Wings from Hollywood & Tobacco Road in Brickell. They will all be set up in tents ready to impress you with their burger greatness. Over 40 Trucks will also be attendance doing what they do best. We’ll also be showing on a big screen courtesy of Pisano Entertainment one of my favorite documentaries, Hamburger America. George Motz (Hamburger America visionary and star of Travel Channel’s Made in America) who unfortunately can not make it out to the event will be filming an introduction to the film specially for the Burgies 2011. I’m hoping you can make it out to the 2011 Burgie Awards as this year it’s bigger and better than ever. Plus, Admission & Parking is FREE. Special Thanks to Food Truck Invasion for helping out with this event. Remember: Magic City Casino (450 NW 37th Ave) on Saturday November 19th from 5PM to 10PM. Yay can’t wait Contenti Cupcakes! can you bring tables and chairs and coolers with alcohol to magic city casino on the 19th? Are pets allowed at the burgies? Great event…Great food!! Keep up the good work.